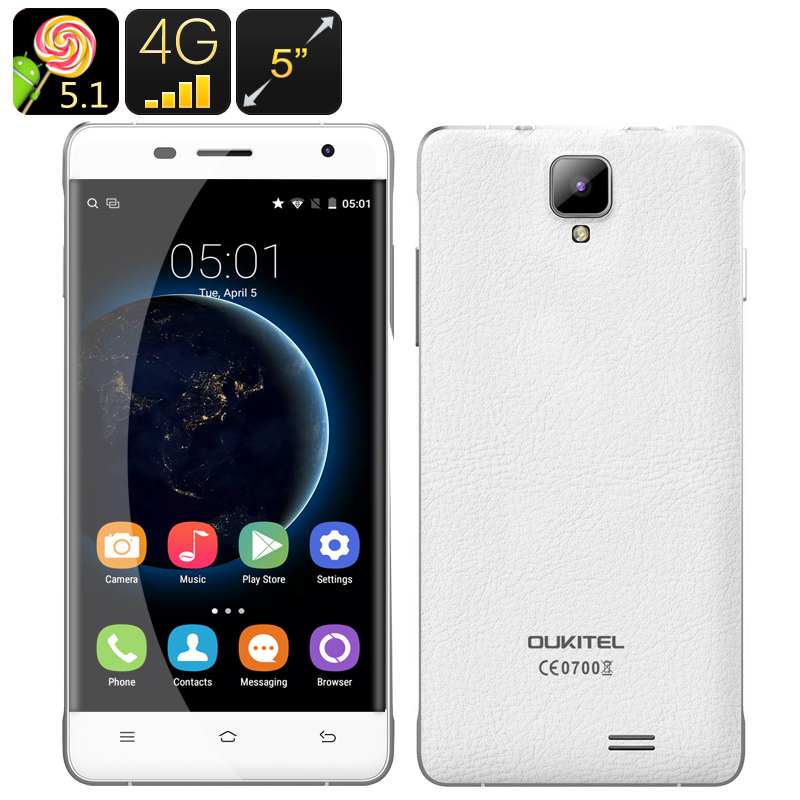 Successfully Added Oukitel K4000 Pro Android Smartphone - 5 Inch 720p Display, 4G Support, Quad Core, Smart Wake, Hot Knot (White) to your Shopping Cart. A smartphone is a pretty hefty investment, not just in money but in the information you store on it. Break your phone, and you lose both the device and the data you've got stored on it – which is where the OUKITEL K4000 Pro comes in. Someone bumps into you and causes you to drop your phone? Accidentally brush your phone off the desk? Sweaty palms loosening your grip? Accidentally bang your phone on a desk's corner? Have slippery butterfingers? All of these are no problem at all, thanks to the extra tough screen coupled with a rigid metal case ensuring that your smartphone will survive even the nastiest bang-up. The OUKITEL K4000 Pro is no slouch when it comes to specs. A 5-inch display with respectable 720p resolution, a quad core CPU, 2 gigs of RAM, 16 gigs of internal memory, support for external memory up to 32 gigs, and a 4,600mAH battery all ensure a smooth user experience. The K4000 Pro, however, also comes with a slew of nifty capabilities – most notably Hot Knot and Smart Wake and OTG charging. Pass along vital data such as web addresses, contact numbers, email addresses, and mobile payments by simply touching the K4000 Pro's screen with a compatible device. Then there's Smart Wake, which allows you to run a variety of commands from your phone's lock screen. These range from opening up messages or a web browser to accessing the camera or the built-in music player. Whats more with OTG charging you can use the phones massive 4600mAh battery to recharge other deives or give some much needed power support to another phone. All these features combined work together to make the OUKITEL K4000 Pro a tough but competent smartphone for the smart consumer! This Oukitel K4000 Pro smartphone comes with a 12-month warranty, brought to you by the leader in electronic devices as well as wholesale Android phones..